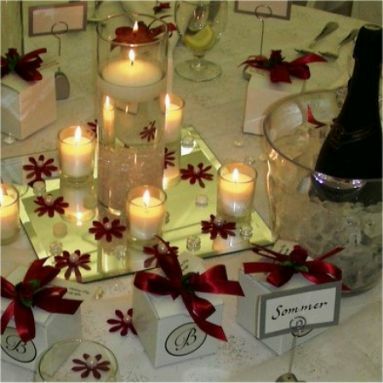 The centerpieces or floral arrangements that you will use for your wedding day are some of the most important details of the decoration, do not forget that all guests will be around these and will be looking like it or not. If you decided to break with tradition and risking white with red, here are some pictures of beautiful flower arrangements and centerpieces of this color. 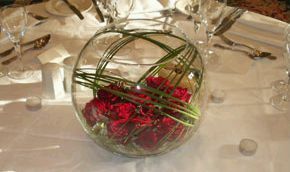 Pretty simple but very elegant, is to place rosebuds within a spherical container and surround with long slender branches. 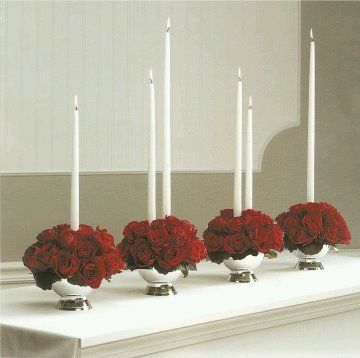 If you prefer something more traditional but just as elegant, this is a good example, long white candles, stylized presentation with this beautiful red roses. 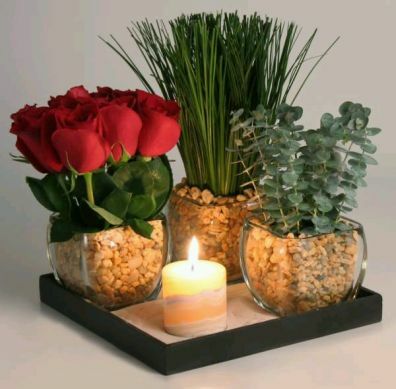 Tenderness is the best word to describe this centerpiece, the combination of containers floating candles are complemented perfectly with the red flower petals. 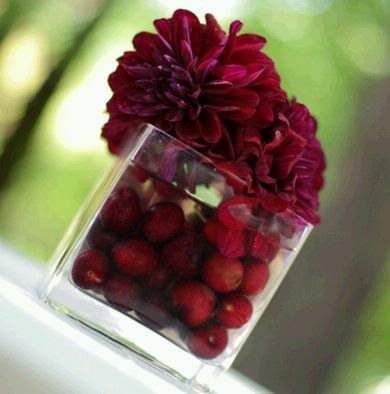 This centerpiece is quite simple but very nice, it is a square container, red fruit immersed inside and at the top, flowers of the same color. Very well-crafted floral arrangement suitable for outdoor celebrations and during the day. 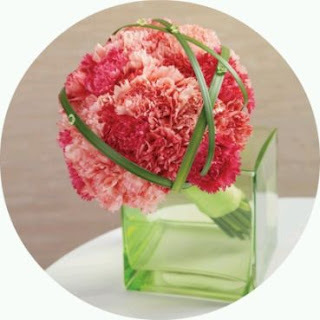 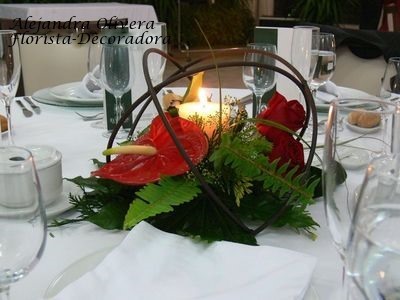 The beauty of the red flowers you choose are the most important factor for the success of the arrangement. Sometimes the combination of red flowers with other plants, gives very good results, as shown in the following arrangement, the candle is the supplement indicated for these centerpieces. Another option is to immerse bouquets species in glass containers, as shown in the following example. 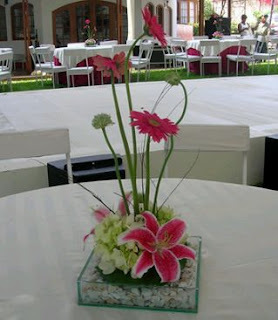 Finally, another example of how good is the combination of different types of flowers and branches, always including red. 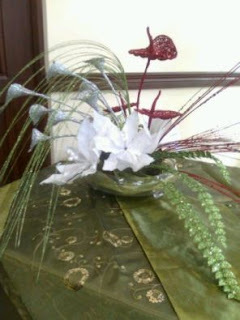 I hope you liked these centerpieces and floral arrangements.